NEW LOWER PRICE! 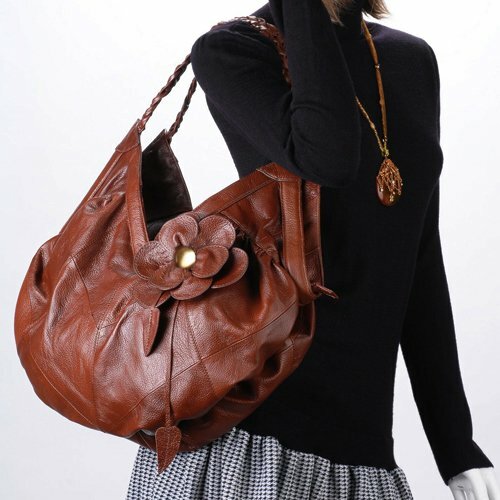 - C&T Designer Inspired Italian Leather Feminine Floral Tote Hobo Handbag - Red Wine Brown Leather. Our newest line of handbags, these C&T handbags are all genuine Italian leather with quality hardware and trimmings. All quality, all the time...not to mention the designer inspired, unique designs. Vintage brown models shown. 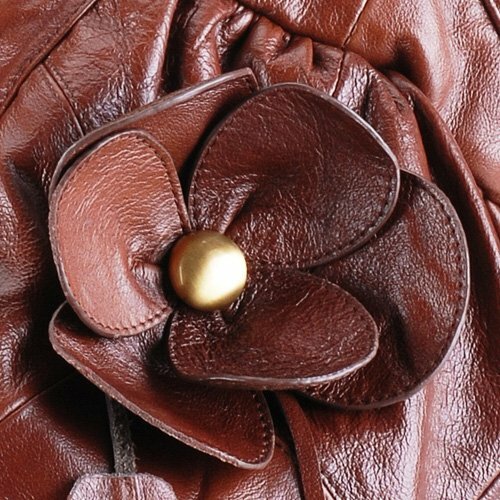 This luxurious leather handbag is inspired by the fully feminine lady. This one has a fanciful rounded tucked shape and is accented with an equally feminine and unique flower decoration. Wonderful handbag purse - sure to get noticed when you carry this bag - and surely to never go out of style! 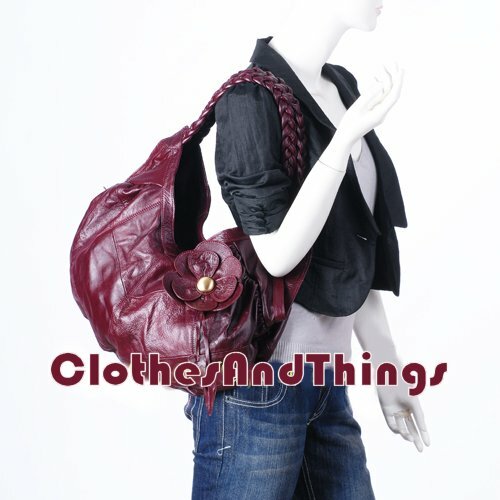 This wonderful handbag hobo styled tote handbag is handmade with quality genuine Italian leather. The result is a rugged yet supple leather bag with unquestionable quality and durability. 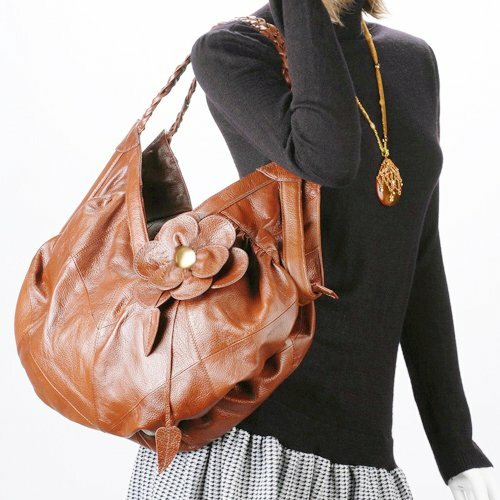 Some of the features of this wonderful looking, superb quality Italian leather purse Tote, which is superbly feminine include: beautiful Italian leather, very unique styling with pleated bottom giving the handbag its unique rounded shape, large leather floral decal, unique V top shape, braided straps, zippered pocket on back exterior, fully lined, interior pockets. Approximate size: 16" x 10.5". Handle drop: 20". 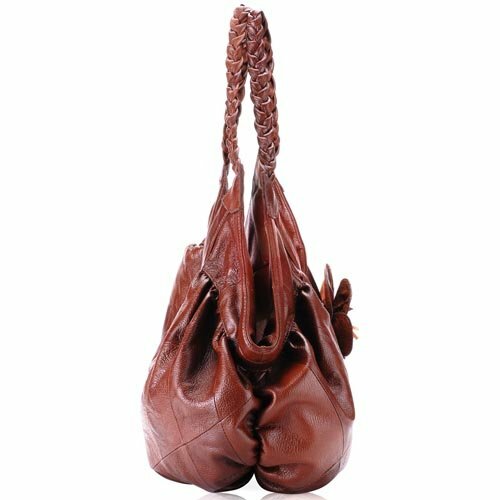 This luxurious and flirty feminine handbag is available in this darker vintage brown, a lighter vintage tan colour, and a rich luscious red wine color (not shown). Please note that this bag may ship via courier from our overseas location. Any and all import duties and taxes due at customs are the responsibility of the purchaser. Availability: IN STOCK, ready to ship in RED WINE color.